I have a music store and use Excel to store my customer orders. I want Excel to automatically tell me the cost of a customers order. So for example, a customer orders Green by R.E.M. on CD. 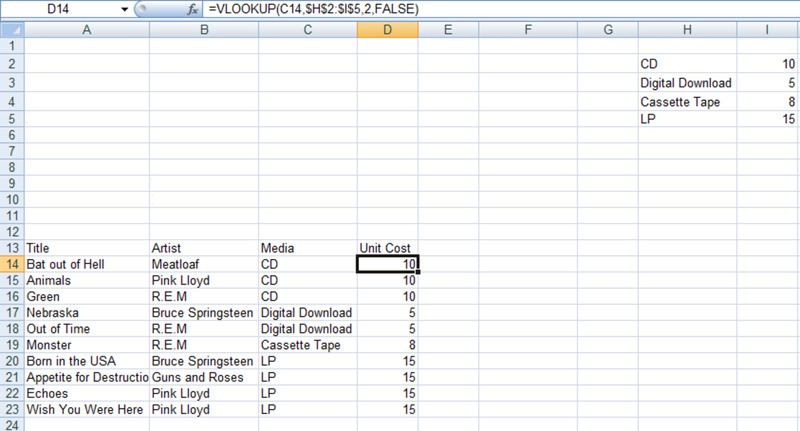 I enter the order into my spreadsheet and Excel checks my catalogue and returns with the cost of the album. I have a hub that covers VLOOKUP in further detail using my music store example. This hub can be found here. As you can see from the above table, Excel will return an approximate value if you choose TRUE and the exact value is not within the range you specify. To illustrate the problems that can occur when the TRUE value is not used correctly, we will work through an example. 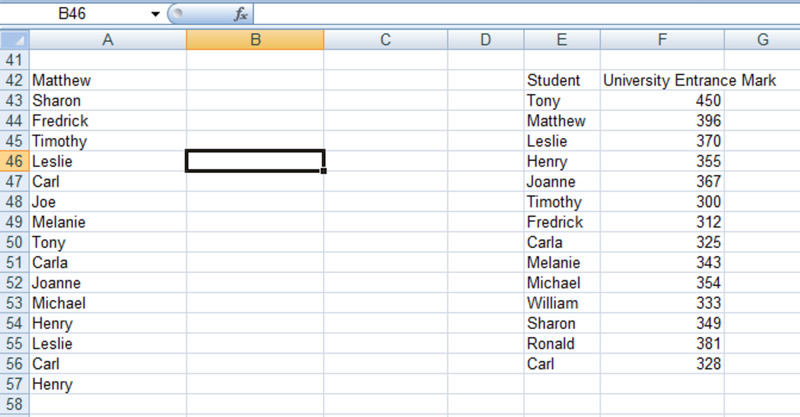 In this example, I have a class of students entering University. 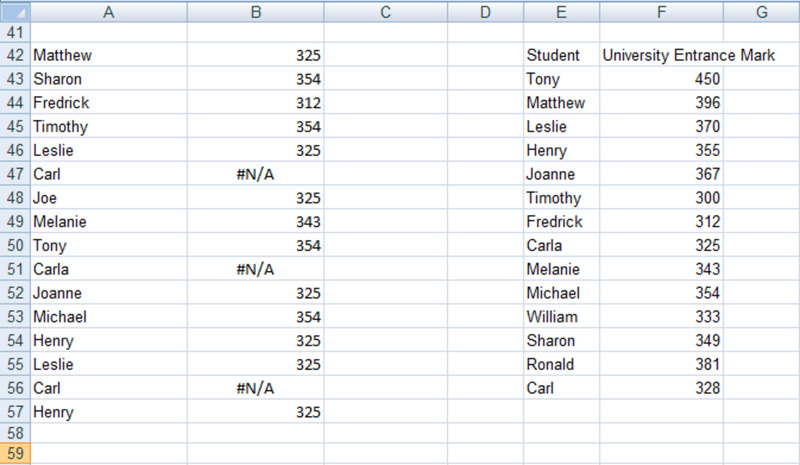 I have all of their University Entrance (UE) results and want to be able to type in their names and have Excel fetch their UE results automatically. If you look at the results, Excel has indeed thrown up some very strange results. I have coloured the results as green if correct and red if incorrect. 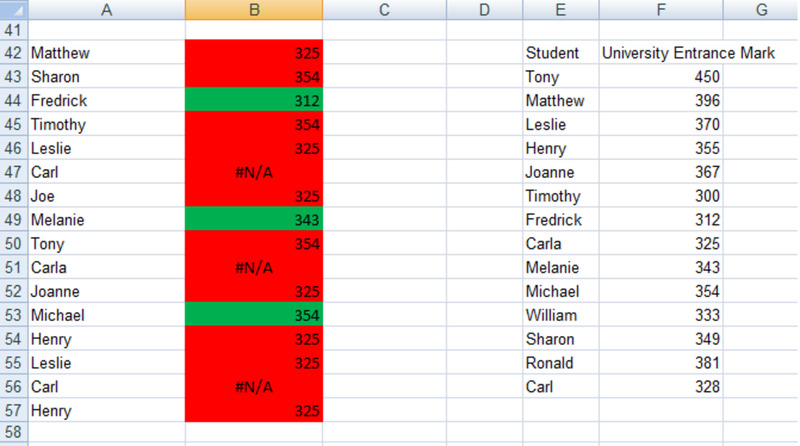 Of those incorrect results, Joe is not even in the list of students, although he was given a score of 325! 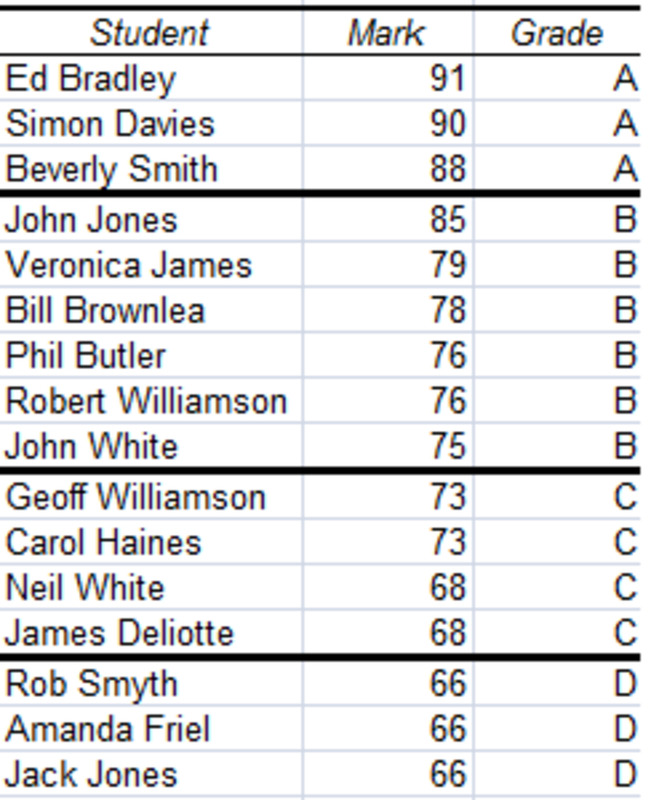 Carl and Carla both got #N/A rather than a number and Excel got 3/16 correct. The secret to using VLOOKUP with TRUE and having it return 100% correct results lies with the reference date you ask Excel to compare the cell you are interested with. The VLOOKUP results will update automatically. I have again coloured the cells where Excel returns the correct result as green and incorrect results as red in the figure below. 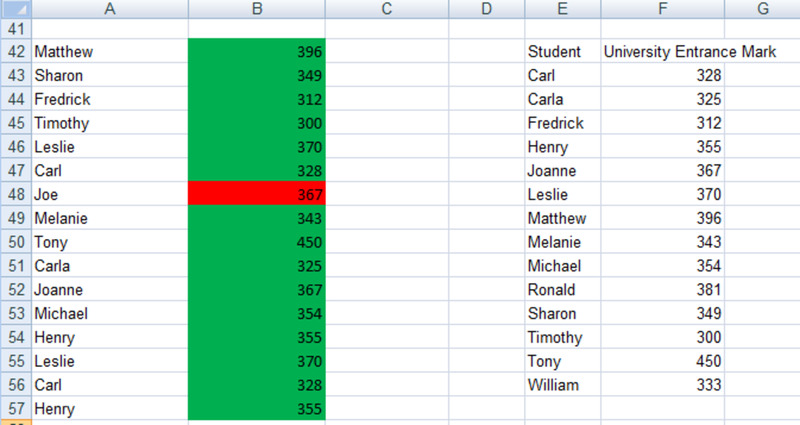 This time, Excel got all the results right except that it gave the mysterious Joe a result of 367 despite not existing. The eagle eyed amongst you will notice that he was given Joanne’s result. This in fact is not an incorrect result at all as we were using TRUE, which returns the exact result OR the nearest result it can find (the next largest when working with numbers). This illustrates the importance of using TRUE and FALSE correctly. The FALSE value returns either the exact match or an error if it is unable to find an exact match so whether the reference data is sorted or not, it comes back with 15 correct answers out of 16 and a #N/A for Joe as Joe does not exist in the reference data. There are two other instances where VLOOKUP can fail to return accurate results. 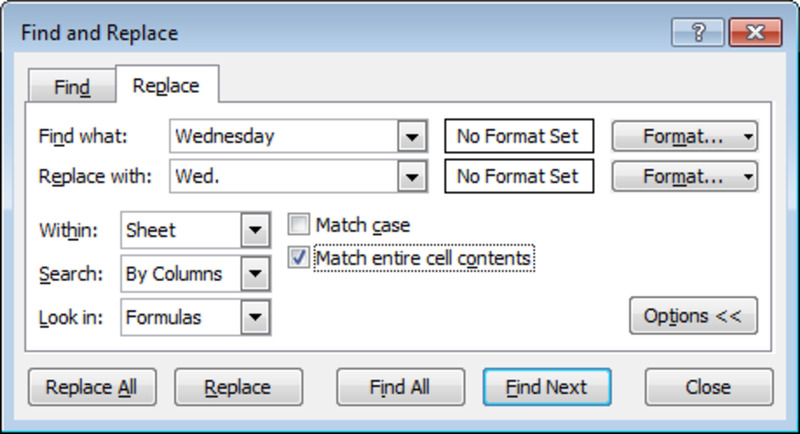 The first is especially important if you are importing or copying your reference data (the range of cells Excel will compare the target cell with). If your reference data has leading or trailing spaces or non-printable characters this can lead to unpredictable results. 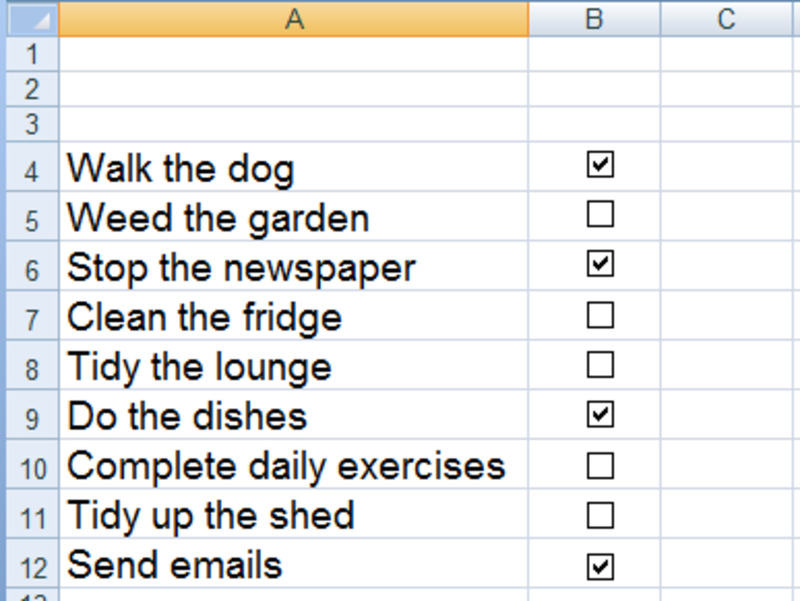 Trailing spaces are particularly difficult to spot in your workbook, so use the CLEAN function to remove any unprintable characters or TRIM to delete any spaces added to the cell (except for any single spaces between words). I have a hub that covers in depth using both the TRIM and CLEAN functions which can be found here. The second instance is when you have dates or numbers stored as text. 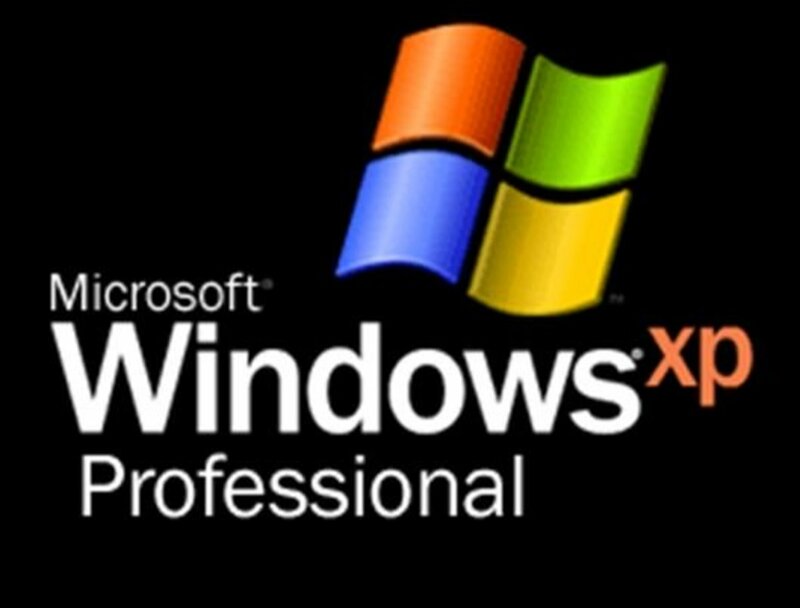 This is also likely to result in Excel throwing back unexpected results. We have looked at how the TRUE value looks at your reference data in your workbook and returns either the exact result, or an approximation. We then investigated how using the TRUE value can lead to Excel returning incorrect results and how to avoid this by sorting the reference data. Finally, we examined other instances where VLOOKUP can return incorrect data when the data has trailing or leading spaces or unprintable characters and how to fix this using the TRIM and CLEAN functions as well as ensuring the numbers and dates are not stored as text. 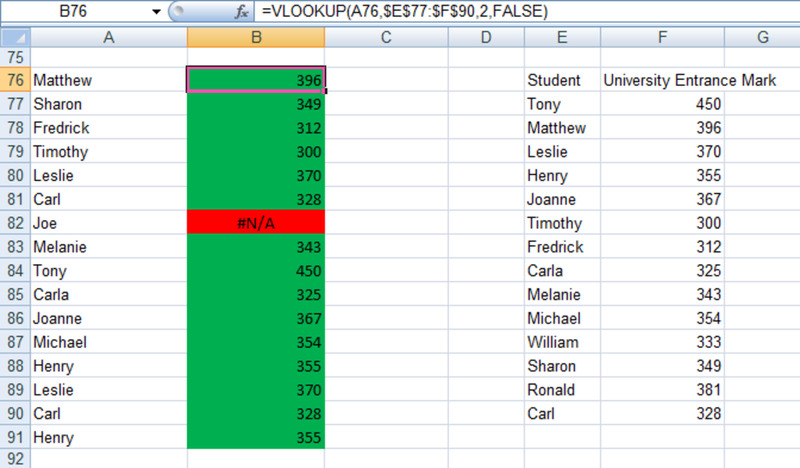 When using the TRUE value with VLOOKUP, it is essential to sort the data to ensure that Excel returns accurate data. 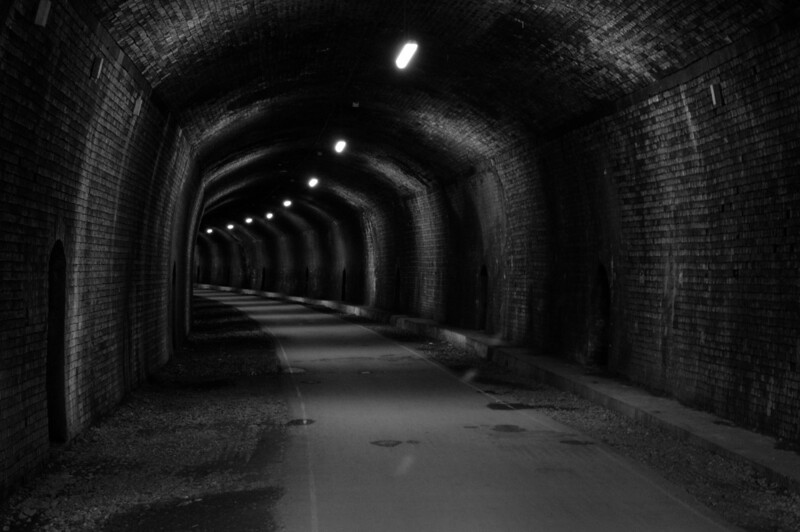 The FALSE value does not need the data to be sorted as it is looking only for exact matches. Whichever value you choose to use, it is important to understand how both work and how to ensure that Excel returns accurate answers for you. I do hope that you have found this hub useful and informative and that you are now able to use VLOOKUP so that it always returns the correct result. Many thanks for reading and feel free to leave any comments you may have below. Sir, is it possible to use true and false (range_lookup) in the same vlookup formula, if so will we be able to derive correct answer? Its very difficult to work with MSExcel. But the way you described in the article is very useful. Great hub.